Draft: 2003, Atlanta Braves, 30th rd. Graduated from Lake Brantley High School in Altamonte Springs, Fla...Attended Indian River (Fla.) Community College ... He and his wife, Viviana, have two sons, Wyatt (6) and Walker (4), and a newborn daughter, Evie. Made 50 appearances between Tampa Bay and Atlanta, and combined to go 5-2 with 3.67 ERA (14 ER/34.1 IP) and three saves ... Made his season debut on 4/25 with the Rays, marking his first big league action since 2012…He underwent three different elbow surgeries after appearing in 230 games with Atlanta over three seasons, 2010-2012 ... In 49 relief appearances this season between Atlanta and Tampa Bay, went 5-1 with three saves and a 2.38 ERA (9 ER/34.0 IP)...Went 4-1 with a 3.54 ERA (8 ER/20.1 IP), 10 holds and two saves for Atlanta ... Tampa Bay selected his contract from Triple-A Durham on 4/25 and he made his season debut that night at BAL…Appeared in 22 total games for the Rays, including one start ... He went unscored upon in 20 of his 22 appearances for Tampa Bay ... Made the first start of his major league career on 6/6 at Washington, and allowed three hits and five runs in 0.1 innings ... Missed 24 games from 6/25-7/25 with a strained right hamstring ... Atlanta acquired him from Tampa Bay on 7/26 in exchange for an international signing slot ... Each of his first 11 appearances with the Braves were scoreless, while all eight of his earned runs with Atlanta scored in his final 17 games, spanning 10.2 innings (6.75 ERA) ... Earned his first save with Atlanta on 8/22 at PIT, exactly seven years to the day after his last save with the Braves ... Was named by Major League Baseball as the National League Comeback Player of the Year following the season ... Became the second Braves player to win the award, joining RHP Tim Hudson in 2010 ... Made two postseason appearances in the NLDS versus LAD, and allowed two hits and two runs in 2.0 innings. Made his season debut in late-June and went on to pitch at four levels, reaching Triple-A Durham to end the season…made 3 apps in the International League postseason, helping the Bulls win the Governors' Cup…combined for a 2.28 ERA (23.2-IP, 6-ER) and 29 SO in 24 apps (2 starts). Made 5 apps for Class-A Charlotte…had a fourth surgery on his elbow to re-attach a ligament, performed by Dr. Neal ElAttrache. Released by Atlanta in November. Met with Dr. James Andrews on 4/2 and received a platelet-rich plasma (PRP) injection in his left elbow. Underwent "Tommy John" surgery on 5/16 (by Dr. Andrews) and missed the entire 2013 season. The surgical procedure was the second for Venters, who also underwent "Tommy John" surgery on 10/11/2005, also performed by Dr. Andrews in Birmingham, Ala.
Ranked second among Braves pitchers with 66 appearances and 20 holds. Tossed 2.0 scoreless frames on 7/22 at WSH. It was his first appearance of 1.0+ innings since 6/16/11. On the disabled list from 7/5-21 with a left elbow impingement. He made one rehab appearance (1.0 IP) with Gwinnett on 7/20. His first nine appearances (8.2 IP, 4/5-29) of the season were scoreless while allowing seven hits and logging 17 K. In 20 outings from 5/1-6/12, he allowed 12ER (14 R) and a .382 opponents' avg. in 15.1 IPfor a 7.04 ERA. Surrendered a leadoff home run to WSH's Bryce Harper on 5/25. It was his third career home run allowed to a left-handed batter and his first since 6/29/11 (SEA's D. Ackley). Allowed one hit over 0.2 innings on 10/5 vs. STL in the Wild Card Game. Led the Majors with 85 appearances and his 35 holds ranked second...Ranked fifth among NL relievers with a 1.84 ERA and ranked seventh with a .176 opponents' batting average...Posted three separate scoreless-innings streaks of at least 15.0 innings (22.2 IP, 7/4-8/22; 22.0 IP, 5/10-6/16; 15.2 IP, 4/4-5/6). According to the Elias Sports Bureau, the last time a reliever accomplished the featwas 2003, when Rheal Cormier (PHI), Eric Gagne (LAD) and Guillermo Mota (LAD) each had at least threesuch scoreless streaks...Snapped his consecutive scoreless innings streak at 22.2 IP (24 app, 2-0, 2 saves) on 8/26 at NYM...Allowed his first HR of season and just the second if his career (125 games/471 at-bats) 6/29 at SEA...Made his first career appearance in the All-Star game. Venters used four pitches to retire each of his twobatters faced via groundout and strikeout in the eighth inning. Led all Major League rookie qualifying relievers in ERA (1.95), strikeouts (93), holds (24), appearances (79)and innings pitched (83.0) and was tied for second in opponents average (.203). ... Was named to Baseball America's All-Rookie Team. ... Was recalled 4/17 from Gwinnett (AAA); made his Major League debut that night vs. COL by tossing 3.0scoreless innings. ... Was ejected from 7/17's contest after hitting MIL's Prince Fielder with a pitch, following a warning fromhome plate umpire Angel Hernandez. His four-game suspension was rescinded following an appeal. ... Suffered a blown save on 7/30 at CIN after allowing his first career HR (in his 60th game) to Joey Votto. ... Earned his first career save on 6/3 at LAD by tossing only one pitch in the ninth inning. Was named a Southern League mid-season All-Star before his promotion to Triple-A Gwinnett on 6/10...Was named Mississippi's Pitcher of the Month for April (0-1, 1.47 ERA, 4 GS, 18.1 IP, 9 BB, 16 K)...Went 2-0 with a 0.00 ERA in June for Double-A Mississippi (2 GS, 12.2 IP, 6 BB, 9 K)...His 156.2 innings pitched topped all Braves Minor Leaguers...Tied for sixth-best in the system with eight wins...Struck out a season-high six batters four times (all on the road) for Triple-A Gwinnett (7/10 at CHA, 7/16 at SWB, 8/6 at TOL, 8/28 at CHA). Opened the season on the disabled list with left elbow tendinitis...Made four rehab appearances withthe Gulf Coast League Braves, 7/15-29...Appeared in eight games (five starts) between High-A Myrtle Beachand Double-A Mississippi (2-2-1, 4.86 ERA)...Recorded one win as a starter 8/28 vs. WTN (5.0 IP, 6 H, 1 BB,4 K) and one in relief 8/4 vs. KIN (3.1 IP, 0 ER)...Converted only save opportunity 8/1 vs. LYN with 2.0 score-less innings...Posted a 2.90 ERA while going 2-3 in seven starts and one relief appearance for the HonoluluSharks of the Hawaiian Winter League. Started 12 games and made five relief appearances for Myrtle Beach...Pitched four hitless innings toearn the save on 6/1...Earned the win with 6.0 scoreless innings, allowing one hit while striking out five on 7/7. Missed the season recovering from "Tommy John" surgery on his left elbow. Pitched a career-high 7.0 innings 5/15 and 7/18, earning the win in both contests...Was 3-1 with onesave and a 2.39 ERA in July. April 15, 2019 Atlanta Braves placed LHP Jonny Venters on the 10-day injured list. Calf strain. July 27, 2018 Atlanta Braves activated LHP Jonny Venters. July 26, 2018 Tampa Bay Rays traded LHP Jonny Venters to Atlanta Braves for Future Considerations. July 25, 2018 Tampa Bay Rays activated LHP Jonny Venters from the 10-day disabled list. July 19, 2018 Tampa Bay Rays sent LHP Jonny Venters on a rehab assignment to Charlotte Stone Crabs. June 25, 2018 Tampa Bay Rays placed LHP Jonny Venters on the 10-day disabled list. Right hamstring strain. April 25, 2018 Tampa Bay Rays selected the contract of LHP Jonny Venters from Durham Bulls. April 2, 2018 LHP Jonny Venters assigned to Durham Bulls. December 14, 2017 Tampa Bay Rays signed free agent LHP Jonny Venters to a minor league contract and invited him to spring training. 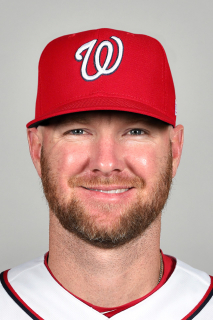 November 6, 2017 LHP Jonny Venters elected free agency. September 1, 2017 LHP Jonny Venters assigned to Durham Bulls from Montgomery Biscuits. August 9, 2017 LHP Jonny Venters assigned to Montgomery Biscuits from Charlotte Stone Crabs. July 14, 2017 LHP Jonny Venters assigned to Charlotte Stone Crabs from Durham Bulls. June 29, 2017 LHP Jonny Venters assigned to Charlotte Stone Crabs. June 27, 2017 Durham Bulls sent LHP Jonny Venters on a rehab assignment to GCL Rays. April 4, 2017 LHP Jonny Venters assigned to Durham Bulls. March 27, 2017 Tampa Bay Rays signed free agent LHP Jonny Venters to a minor league contract. November 7, 2016 LHP Jonny Venters elected free agency. October 2, 2016 Charlotte Stone Crabs activated LHP Jonny Venters from the 7-day disabled list. June 29, 2016 Charlotte Stone Crabs placed LHP Jonny Venters on the 7-day disabled list. June 4, 2016 LHP Jonny Venters assigned to Charlotte Stone Crabs from Durham Bulls. April 7, 2016 Durham Bulls placed LHP Jonny Venters on the 7-day disabled list. January 12, 2016 Tampa Bay Rays invited non-roster LHP Jonny Venters to spring training. September 8, 2015 Durham Bulls activated LHP Jonny Venters from the 7-day disabled list. April 6, 2015 Durham Bulls placed LHP Jonny Venters on the 7-day disabled list. March 17, 2015 LHP Jonny Venters assigned to Durham Bulls. March 11, 2015 Tampa Bay Rays signed free agent LHP Jonny Venters to a minor league contract. November 21, 2014 Atlanta Braves released LHP Jonny Venters. November 19, 2014 Atlanta Braves designated LHP Jonny Venters for assignment. October 31, 2014 Atlanta Braves activated LHP Jonny Venters from the 60-day disabled list. October 31, 2013 Atlanta Braves activated LHP Jonny Venters from the 60-day disabled list. July 4, 2013 Atlanta Braves transferred LHP Jonny Venters from the 15-day disabled list to the 60-day disabled list. May 2013 Tommy John surgery. March 31, 2013 Atlanta Braves placed LHP Jonny Venters on the 15-day disabled list retroactive to March 27, 2013. Left elbow sprain. July 21, 2012 Atlanta Braves activated LHP Jonny Venters from the 15-day disabled list. July 20, 2012 sent LHP Jonny Venters on a rehab assignment to Gwinnett Braves. July 5, 2012 Atlanta Braves placed LHP Jonny Venters on the 15-day disabled list. Left elbow impingement. April 17, 2010 Atlanta Braves recalled LHP Jonny Venters from Gwinnett Braves. April 3, 2010 Atlanta Braves optioned Jonny Venters to Gwinnett Braves. November 19, 2009 Atlanta Braves selected the contract of Jonny Venters from Gwinnett Braves. June 10, 2009 Jonny Venters assigned to Gwinnett Braves from Mississippi Braves. July 24, 2007 Myrtle Beach Pelicans placed LHP Jonny Venters on the 7-day disabled list. April 23, 2007 Jonny Venters roster status changed by Myrtle Beach Pelicans. September 9, 2006 Rome Braves activated LHP Jonny Venters from the 7-day disabled list. August 25, 2005 Rome Braves placed LHP Jonny Venters on the 7-day disabled list.